Congratulations! 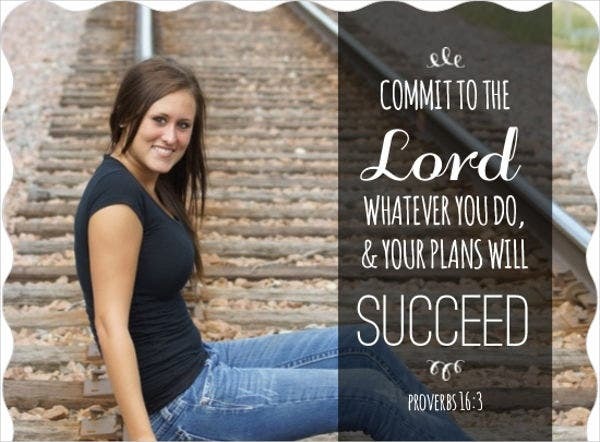 You have finally graduated from school and are starting another phase in your life. The best way to celebrate this achievement with your friends, family and schoolmates is to announce that you are having a big party. If you are steering away from run-of-the-mill invitations that you find in the stores, then this post is for you. 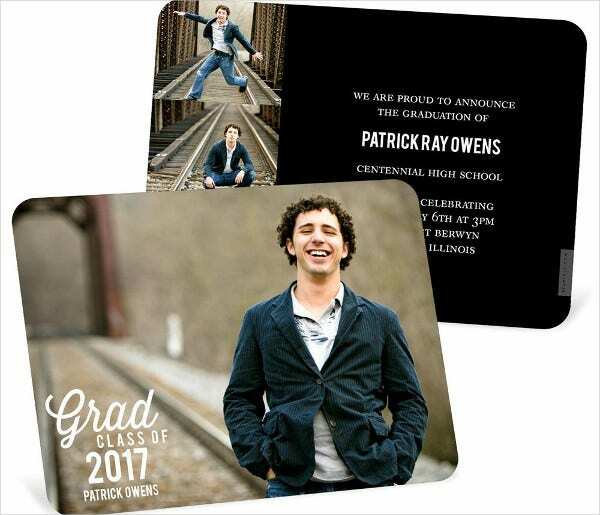 We have scoured the internet for the best invitation templates suited for new graduates throwing a party. 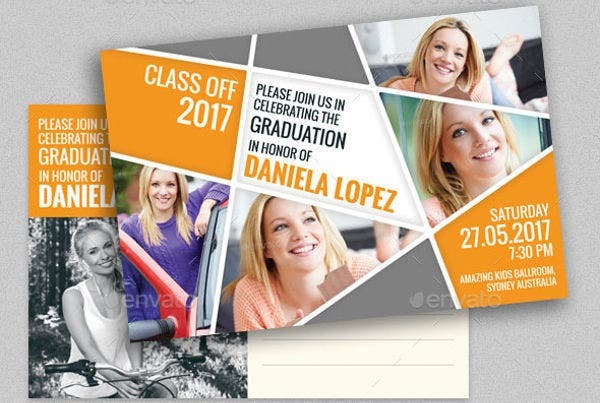 What’s unique about our templates is that you can add in your pictures to the template, to make truly customized invitations. 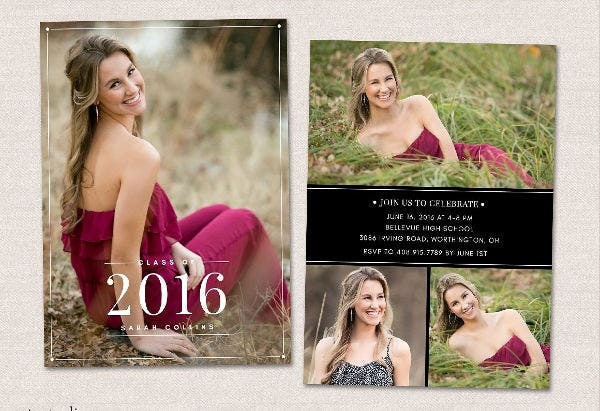 We also have Formal Invitation Templates if you are planning party with that type of mood. 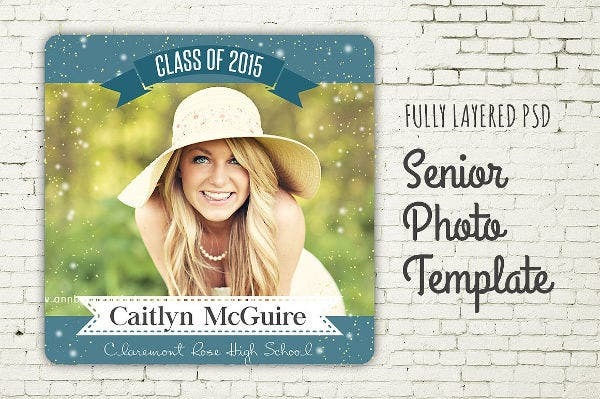 These templates for Graduation Invitations we are about to share with you all have the common feature of customizing the images so you can edit in your own photos in your invitations. This type of invitations are typically prepared by professional graphic artists in a photography studio, but with these templates, you can achieve the same level of quality work all at no cost! Vintage Graduation Photo Invitation. If you want to incorporate a theme into your party, then this vintage-inspired invitation template will achieve that design. Merge in your graduation pictures and your party details into the template and you will have your very own vintage-looking invitations. 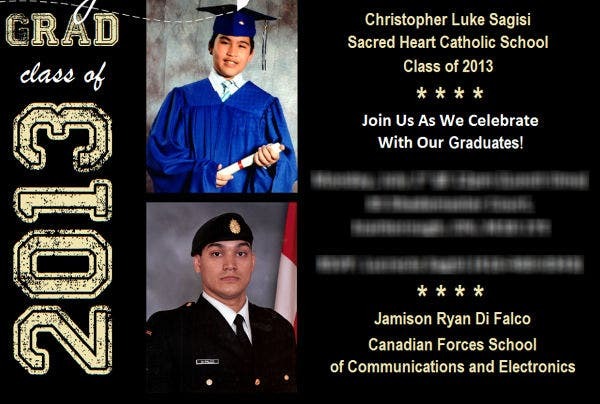 Brother’s Graduation Photo Invitation. Use this template if you are throwing a surprise graduation for your brother. This template boasts a refined yet masculine design, fit for guys. 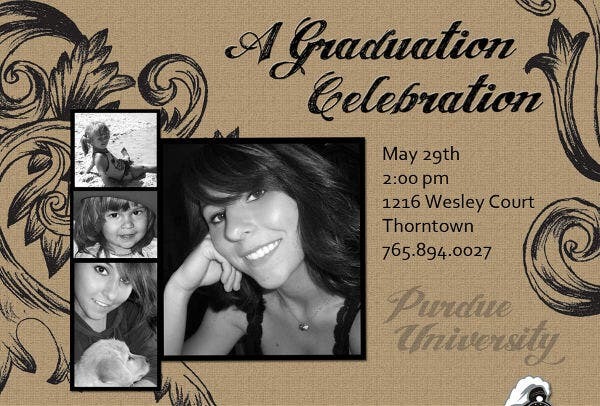 Graduation Postcard Invitation. This template is best if you want to create invitations in a postcard size. Remember to look for paper material that is thick enough to imitate a postcard but thin enough to pass through a basic printer, if you are producing your invitations at home and you should end up with your own postcard invitations. 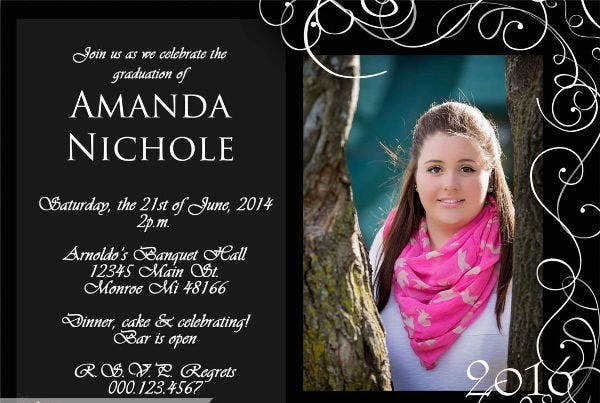 To make a memorable Graduation Party Invitation, follow two simple tips after you are satisfied with the customizations you made with our Free Invitation Templates. One, print out a sample of your invitation to see if any details need some readjusting and if the party details are properly spelled out. Two, use the right type pf paper for your invitations—thick enough to qualify as an invitation paper but thin enough to go through your home printer. 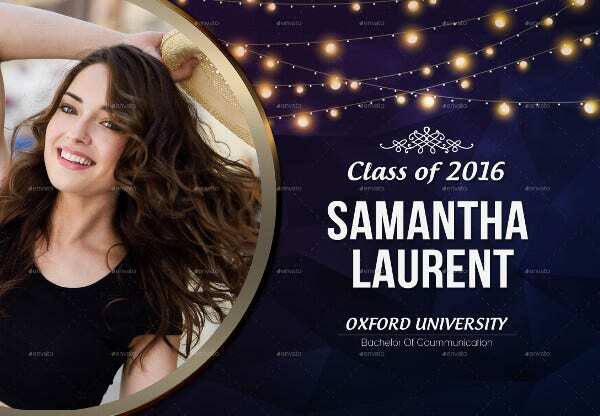 Formal Graduation Photo Invitation. If you are opting to throw a formal party to celebrate your graduation, then this invitation template will complement that atmosphere. This invitation will also give your guests the heads-up on what they need to prepare for your party like their attire, the type of gift to bring, and their transportation options. 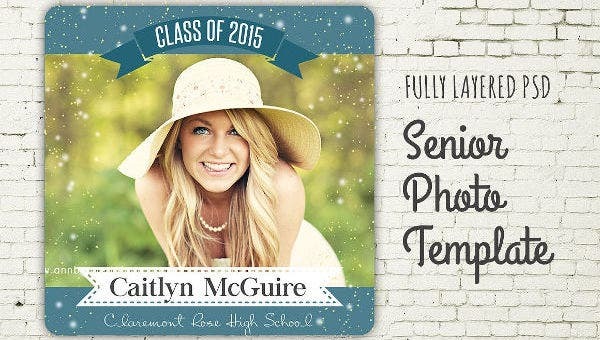 Personalized Graduation Photo Invitation. This invitation template is the most versatile in the entire bunch because aside from the options of being able to incorporate your own photos and texts into the template, you can shift them around to create the most customized invitation. This template comes in two customizable pages—one for the front page of your invitation and another for the back.